2017-18 was definitely a year of adventure tourers. From the 26 motorcycles that we had for our ‘Best of 2018’ test, six were adventure tourers. That’s a whopping 25% of the total turnout – well, almost. And one that really impressed us was the BMW G 310 GS. Sure, it’s been on the global scene for a couple years now, and everything about the bike is common knowledge. Still, it’s been one of the most anticipated motorcycles among enthusiasts in India. 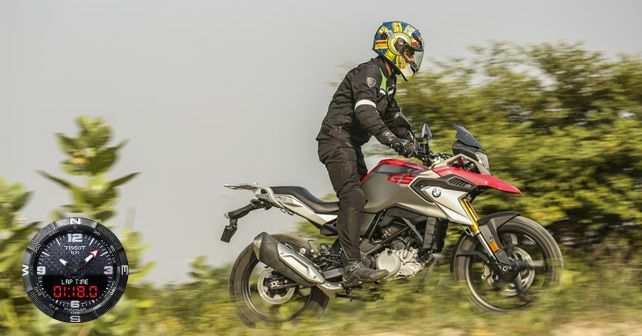 You see, the G 310 GS has the makings of an ideal entry-level adventure tourer for Indian conditions. It has adequate power, handles astoundingly well and doesn’t weigh as much as the Eiffel Tower. Allow me to elaborate. Up until a year ago, adventure touring was limited to a few skilful riders or for those with deep pockets. The G 310 GS has the potential to make it available to the masses. Its 313cc single-cylinder motor isn’t overly powerful, however, it’s punchy enough to make things interesting. Power delivery for the most part is linear, but the GS really comes into its own in the mid-range. The engine feels composed, even when you’re cruising at 100km/h. In comparison to the TVS Apache RR310, the GS feels a lot less vibey, but still more refinement from the motor would’ve worked wonders – especially for long rides. That said, the upright riding posture, high ground clearance and the increased suspension travel add a sense of comfort and practicality to the baby GS. It handles well too. At first, it might seem like the GS is over-eager to lean, but it doesn’t at any point feel nervous or unsettled. BMW has been smart in developing the G 310 GS. It’s on the same chassis as the naked G 310 R – reducing development costs – but, at the same time, they’ve kept the GS true to its DNA with changes in all the right places. It may not be an outright off-roader, but it’s a fairly capable machine for rookies. At an ex-showroom price of `3.49 lakh (ex-showroom), the G 310 GS isn’t a great value for money proposition, but it gets away with it by being the only motorcycle in its class. More importantly, the price tag doesn’t take any points away from the motorcycle that it really is.